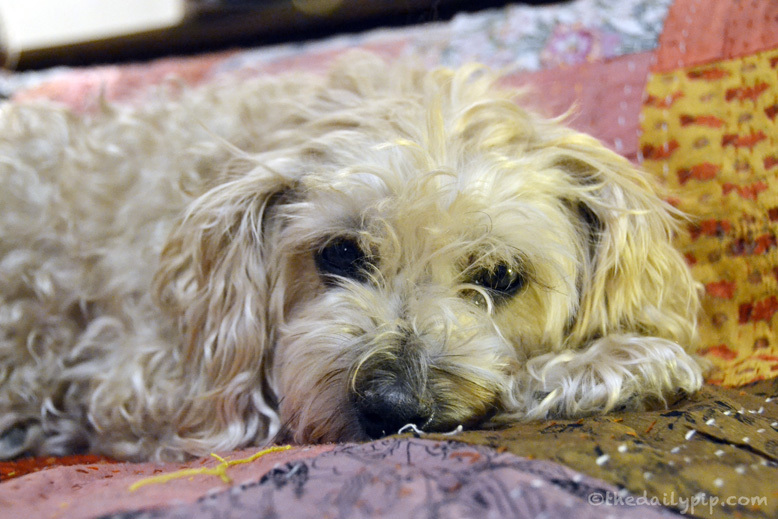 This post is sponsored by Weruva® and the BlogPaws® Pet Influencer Network®. I am being compensated to help create awareness about the launch of Weruva’s new Caloric Harmony® and Caloric Melody® Dry Dog Food but The Daily Pip only shares information we feel is relevant to our readers. Weruva is not responsible for the content of this article. WeRuVa® is a family owned, natural pet food company named after and inspired by owners Stacie and David Forman’s three rescue cats Webster, Rudi, and Vanessa. The Formans founded the company as part of their search for the most perfect, nutritious, responsibly sourced food for their cats. When they added a rescue dog to their family, they decided to branch into dog food, first with wet food and now with Caloric Harmony and Caloric Melody Dry Dog Food. Like the Formans, we have three rescue cats and a dog – all four with rough starts in life. Our cats, Elsie, Moo Shu, and Rosie, were strays and arrived frightened and malnourished. Ruby was rescued from a hoarding situation where she had multiple litters of puppies and like most mama dogs, probably gave away everything she had to her babies. Providing our furry family with a nutritionally dense, natural diet has always been a priority for us. All Weruva formulas are produced in a human grade, BRC Approved Facility and adhere to the highest standards for quality control and food safety. The country of origin is listed for all proteins and includes sources like cage free chicken, grass fed venison and lamb, and humanely sourced salmon. Both the Caloric Harmony and Caloric Melody Dog Foods have a high animal to plant protein ratio. Harmony contains 80% animal based protein and Melody contains 70% at a lower price point. Both formulas contain pumpkin and prebiotic seaweed to aid in healthy digestion as well as Salmon Oil, Linoleic Acid, Zinc, B Vitamins for healthy skin and coats. They also have a low glycemic load to help maintain steady energy levels and are potato, wheat, corn, and soy free. 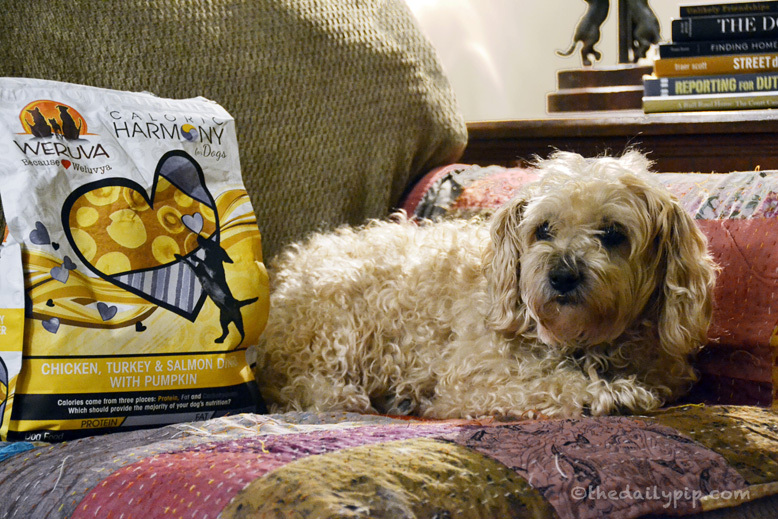 Caloric Harmony and Caloric Melody Dog Foods are low in fat, gluten free, and perfect for all life stages. 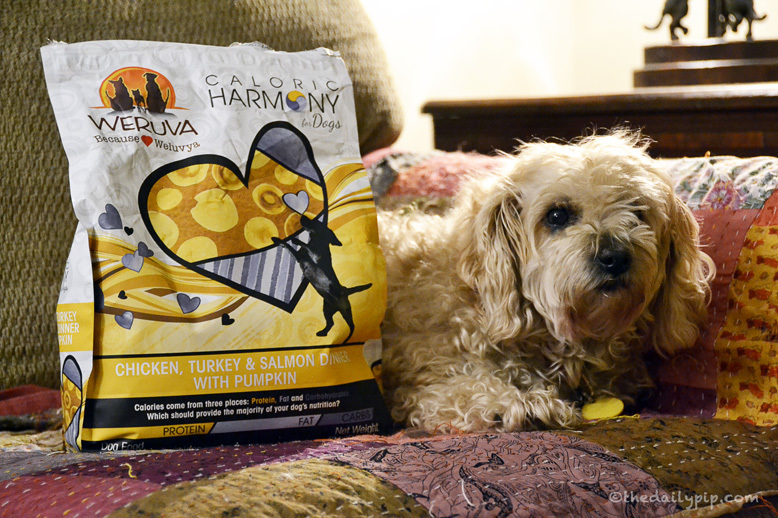 Both are available in three formulas; Ruby recommends Caloric Harmony Chicken, Turkey, and Salmon Dinner with Pumpkin! In addition to the natural, responsibly sourced ingredients, another perk of Caloric Harmony and Caloric Melody Dog Food is the packaging. Each bag has a velcro top so it’s easy to open and close and keep fresh. The packaging is also adorable and feels like someone bundled it with care. Weruva is a family owned company and everything from the ingredients to the packaging to the marketing feels genuine and real. With our sample of Caloric Harmony Dog Food, we also received a handwritten note wishing us well and hoping we liked the food. Like many rescue animals, Ruby has been through a lot in life and it is comforting to know that her food is coming from compassionate people who love animals and genuinely want her to live well and thrive. To learn more about Weruva Caloric Harmony & Caloric Melody Dog Food as well as other Weruva products, visit their website . You can also visit and follow them on Facebook, Instagram, and Twitter. 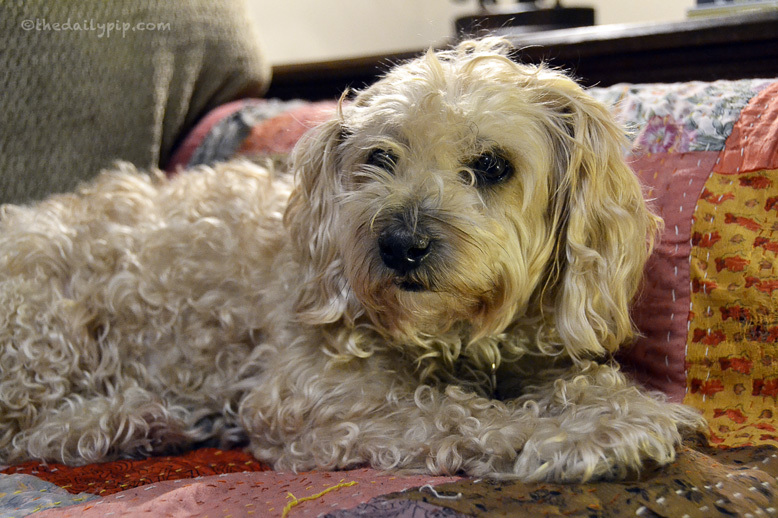 This post is sponsored by Weruva and the BlogPaws® Pet Influencer Network. I am being compensated for helping create awareness around the brand new Caloric Haromny and Caloric Melody premium dog food product lines, but we only share information we feel is relevant to our readers. Weruva is not responsible for the content of this article. It sounds yummy and very healthy. We'll be checking out the links. Thank you, Ruby! Ruby, YOU and the Kitties are SOOOOO lucky to have found such a grand home. Now about that Foodable… it sounds PAWFECT fur you. All natural is so important for pups like you and us humans too! Thanks for sharing info about this company. I love Weruva food and I'm glad Ruby likes it too. Mr. N likes their canned food. Ruby looks like she's saying please feed me now! We love Weruva cat food, so we bet this stuff is really good, Ruby. We loved trying Weruva and we met them at last year's conference. They are soooo sweet! I love that not only does the food sound wonderful, but so do the people who make it. Thank you for sharing! Such lovely photos of you and great review- sounds yummy and healthy food. It sounds like excellent food for dogs. My cats enjoy the canned cat food from Weruva sometimes, too. We are definitely going to check out this new food! Ruby…you are simply adorable! We are always looking for nutritious and healthy foods to put into the rotation. Thanks for sharing your thoughts on the new line of dog foods from Weruva. If the dog food is as good as the cat food, we know it's great! Weruva looks like a great brand to try out and not one that I'm familiar with so thanks for posting this review! This sounds like a great food. One of the things that impressed me is that they list where the food is sourced, I think that is really important to know! Sounds like a great food and a great company. A company that keeps the needs of the pet first. Knowing that there is a food at a lower price point helps families that are on a budget still provide a healthy diet to their fur-baby. This sounds like great food! Good read! I have seen their products on the shelf at my local pet store. I was thinking of trying their canned food! I love reading about how people start their businesses out of filling a need they have of their own that they also want to share with others with the same needs. Weruva Super Luxe Pet Food sounds great! What a great set of pictures and I really love the format of your blog. Also, we both have dogs named Ruby! Yay!